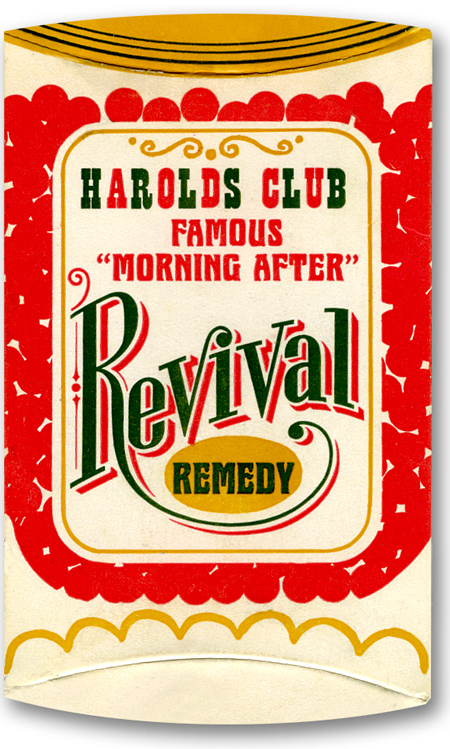 I love this hangover cure pack from Harold's Club. What a wonderful idea to give guests something to assist them after an evening of over-indulgence. Or this could be taken as a cure for over-indulgence at a religious tent revival. Although I can't imagine that large amounts of alcohol would be involved in that setting. This could also be clever packaging for the controversial "Morning After" pill. The possibilities for re-purposing this are endless.